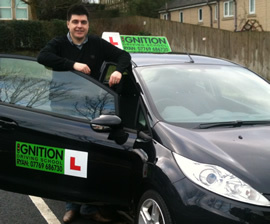 An Ignition Driving School franchise strikes the right balance between working independently and being part of a team. 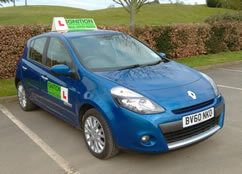 As we don't saturate areas with driving instructors, one thing you won´t have to worry about is who's getting the work? 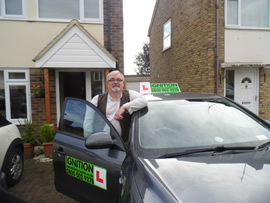 With an Ignition Driving School franchise, you can work the hours and areas you want to work and because we follow a market led pricing structure you will be able to make the most of your earning potential. Your outgoings are kept low too as we encourage you to work your local area and we don’t charge you for pupil referrals. At Ignition Driving School you will feel valued and are fully supported. As a family run driving school we know all our driving instructors by name, to us you are an asset to our team and not just a cog in a wheel. There is always someone at the end of the phone and as we are driving instructors ourselves you can talk to us about all aspects of the job. 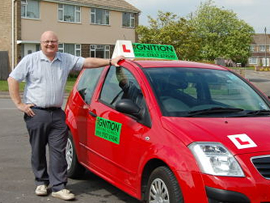 Working is made easy with an Ignition Driving School franchise. You don’t need to come into our office to collect payments that pupils have made, we offer full day-to-day stationery and we even have an online pupil centre (The Hub) to add value to pupil’s lessons, so all you need to focus on is teaching! * Larger areas may require more than one instructor to cover the workload. ‡ £60 per week excludes car. 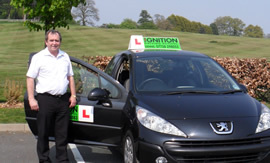 What can an Ignition Driving School franchise do for you? The driving school industry is incredibly competitive with many companies resorting to heavy discounting in order to get business. We believe this attracts unreliable pupils, those that just go from offer to offer, and a fair pricing structure is the better route to take all round. We invest heavily in search engine optimisation for each of our local areas to get them on to the first page of Google. For new areas, where we have no presence, we use Google Adwords, which again puts us on to the first page of Google. 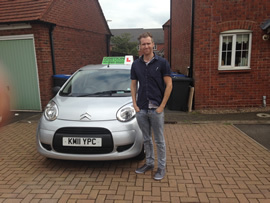 Being on the first page, gives our website maximum exposure to anyone looking for driving lessons. Once a pupil clicks through to their area page, pupils see all the information they need in order to book a lesson, making them less likely to go elsewhere. As we track the number of visitors to our website, we can give pupils the information they require and also give feedback to the instructors when required. In addition to our own website, we also use a range of online directories and comparison websites to capture a wider pupil base. On a local level, we supply you with fliers to distribute in your local area. 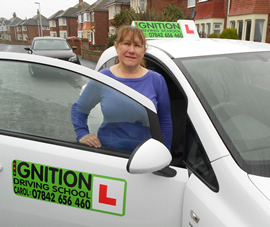 "I joined Ignition Driving School on a Trainee Licence in January 2006 and from the start of our relationship I found Kelly helpful and supportive..."
We supply a comprehensive pack of stationery to keep your business running on a day-to-day basis. This includes business cards, welcome packs, mock test forms, show me tell me sheets, student record cards, appointment cards, "you were not in" cards, receipt books, test pass certificates and feed back forms, a year diary and our loyalty card. To enable you to develop as a driving instructor and to help your business grow, we have created systems for you to use to help you with your accounts and have installed some useful downloads. We also have a designated area for those taking their part 3 test, complete with common faults and aids. We are also on hand to assist with any problem or query. As instructors ourselves we understand the issues and problems you may face as an instructor, and on days where you need to talk to someone or get some advice you know that you can always contact us as we are only a phone call away.
" I’ve been with previous driving schools, who promise the earth and deliver nothing. With Ignition Driving School I get a continual supply of pupils who more than keep my diary full. " Intensives: Research indicated that the popularity of people wanting to reach test standard quickly has increased dramatically. To tap into this market we launched a sister website called Intensive-courses.co.uk and it is a great way to generate additional work for those instructors who wish to do it. The beauty of these courses is that we book the test on behalf of the pupil and the pupil pays a set amount upfront, which means not only are we in control of the pupils test, but we know the number of hours tuition they will do is guaranteed. Loyalty Card: To increase market share in existing areas, our loyalty card aims to reward pupils for referring their friends and family to the school. This scheme allows the pupil to earn potentially up to £105 cash back, which is paid for by the school and not the instructor. Lesson Prices: We follow a market led pricing structure, which means, we pitch our prices slightly lower than the national schools and in line with other quality independent driving schools in your area. It is sometimes recommended to offer slightly discounted rates initially as this will fill your diary up quicker. The rates can then be increased once the workflow is steady.
" Kelly clearly runs a very well organised and competitive franchise, which serves its instructors very well. 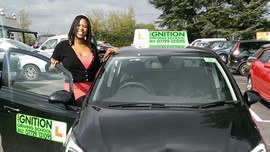 She is also a very helpful and caring person to work with, who maintains very good communication with her franchisees "
Ignition Driving School’s policy is not to sit back and let the world come to us rather we want to be proactive and lead the field. What makes us different from other schools is our customer service. We believe that our franchise is great value for money. You have the peace of mind when you start that no franchise will be charged for the first 4 weeks and as there is no minimum term to the agreement, you know that should your situation change in the future, you´re not tied in. In addition to the 4 weeks at the start, there is also an additional 4 weeks holiday which can be taken at times when you need them most. Furthermore, with no hidden charges or pupil referral fees, you can plan and budget without any nasty surprises. A sensible approach to recruiting instructors We only recruit instructors in areas where they are needed, which means you won´t be competing within the group for work. Google From day 1, we invest in your area to get maximum exposure for your business. First 4 weeks free We offer the first 4 weeks of the franchise for free, giving you one less thing to worry about. No minimum term agreement Gives you peace of mind that you´re not tied in for a long period of time. A further 4 weeks free during the year, pro-rata Take a break from paying the franchise at the times when you need it most. Flexibility to work the hours and areas you want to work We work from the postcodes you supply, which means you can cross boundaries into different postcode areas. You will also not be penalised for only working certain days or times. Market led pricing No heavy discounting of prices and no gimmicks, meaning more reliable pupils are recruited and time wasters are eliminated. Comprehensive advertising campaign for your local area Including: web optimisation, Google Adwords, online directories, fliers etc to generate new business. Loyalty Card Scheme We offer cash back to pupils when they refer a friend to the school, which helps your business to grow further. Complete set of stationery Including: business cards, appointments diary, record cards, appointment cards, receipt books etc. Pupil stationery Including: Welcome packs, mock test forms, pass certificates and more. Free support You can contact any of the team 7 days a week with any queries or questions you may have or any advice you seek. Mobile phone app Update our systems and order more stationery etc, whilst on the go. Intensive course specialist We run intensive courses to help fill your diary and offer an additional service to pupils. Trainee licence opportunity Gain additional training experience you need to help you through the part 3 stage of the course. Not only that but you can now start earning money and building up your work diary. We believe therefore that we have struck the right balance in our work ethos - each instructor is individual and independent, the company is uniform yet distinctive. This puts us in a unique position to attract pupils and keep our instructors happy, as they are able to work freely but have the security of the team behind them. franchise pack to you. Alternatively, you can contact us using our enquiry form above. To find out more about our data protection policy, please visit our data protection page.